(Rightous Babe Records) One of the reasons that I like Beatles so much is the diversity of their music and how with each album they grew. That is one of the same reasons I like Ani DiFranco so much. I have been listening to her music from the beginning when she was going around and playing folk-punk acoustic guitar at coffee shops and small colleges. (Antioch College where I worked at public radio station WYSO was one of her stops). And with each release she just keeps growing. 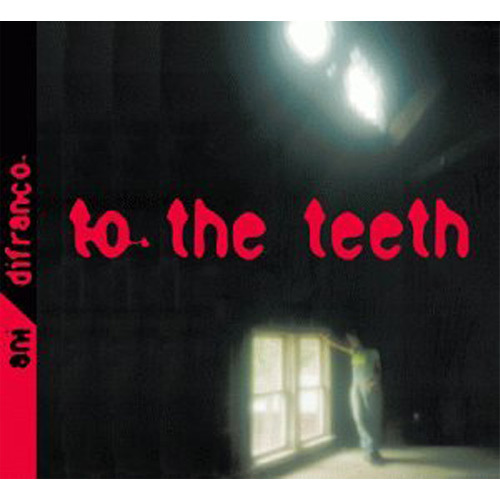 Another reason to like Ani DiFranco is her proficiency. Where an artist such as Alanis Morriset takes three years to put out a release that sounds just like her last release, Ani puts out three releases in one year, all with a different feel. Ani is joined on this CD by such greats as Maceo Parker and The Artist (formerly known as Prince). Like all of Ani’s songs, the ones on this release contain lyrics that are personal, socio-political and heartfelt. Pardon the pun, but all the tunes on To The Teeth have a bite that grabs you by the booboo and doesn’t let go. Where Jewel is a California coffeehouse poet, Ani is a New York bar poetry slam poet. I could write forever on how great this release is, but I will try to restrain myself and just say that her tune Freakshow is my absolute favorite on this release. Even my friend’s nine-year-old daughter loves the song so much that she dances around singing it. If that isn’t proof enough about how killer this release is then, I don’t know what is.